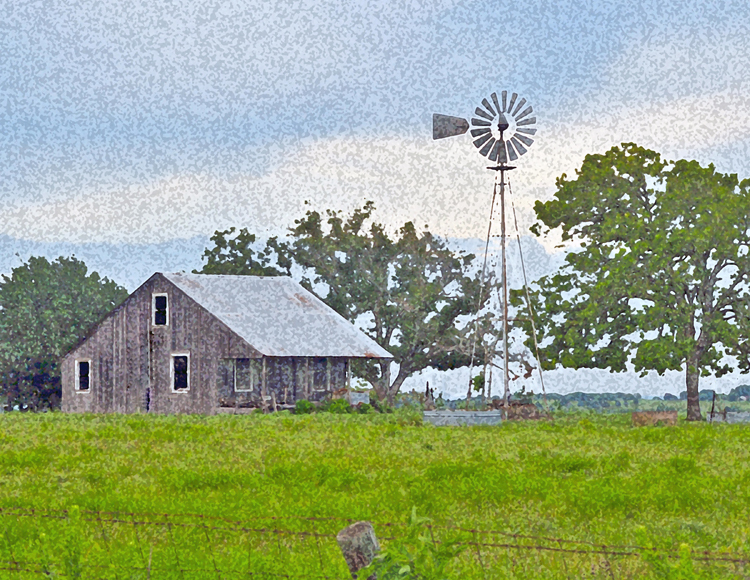 Driving up Texas Highway 77 from Victoria late one Sunday afternoon in July, the old house and windmill caught my eye. The sun was way over in the western sky and cast a mellow light across the Texas terrain making it just right for this photograph. Unfortunately, I could not squeeze the entire windmill into the Header picture due to the limitation of space. So I’ve posted the original photograph here. It’s a typically vintage Texas image. The late afternoon sun casts a magical spell over the landscape. To get the picture I used a Nikon D300 on a tripod. The lense was a Sigma 18-125mm zoom, f/3.8-5.6 DC OS HSM. I took multiple braketed shots using cable release, but I did not record the ASA , f-stops, or shutter speed. A real photographer records data like that. With a digital camera I tend to let that slide. I played around with photoshop and produced the image you see. And though I like the effect – almost like a Monet painting – I like the original photograph, too, which I have also posted. 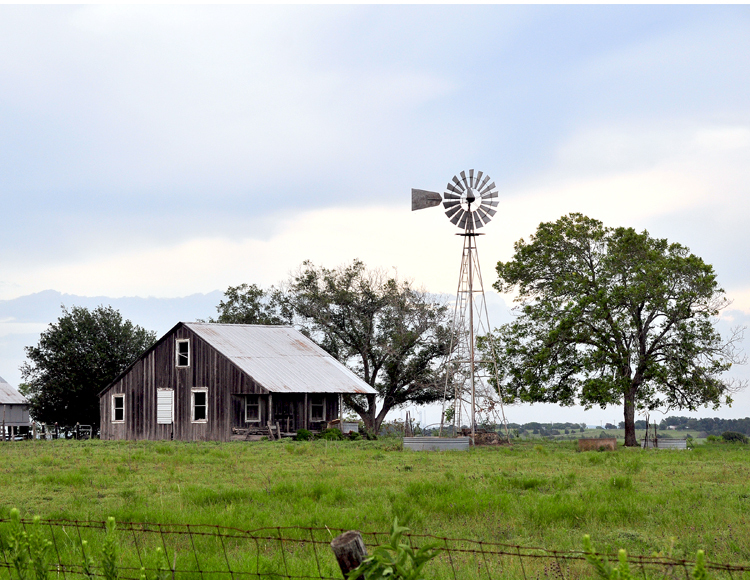 For me, the photo of the vintage Texas scene is visually poetic. In time I may reproduce the visual poetry in words where it can be read aloud. I like the picture and I really like how you made it look like a painting. Good work. Can I get a print?